The purpose of the beekeeping club is to engage students in alternative forms of environmental stewardship and unique environmentally sustainable practices through beekeeping. Beekeeping serves as a novel way to study the environment and provides ample opportunity for research and education. 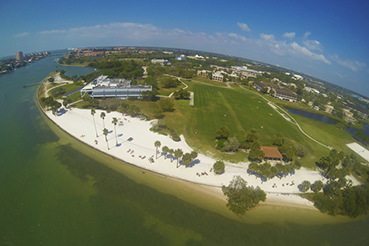 Eckerd is a leader in environmental service and continues to develop commitments to ecological sustainability through progressive projects. Given the increasing need for effective pollination, Eckerd’s commitment to bees on the small scale serves as a model for long-term and successful ecological projects. 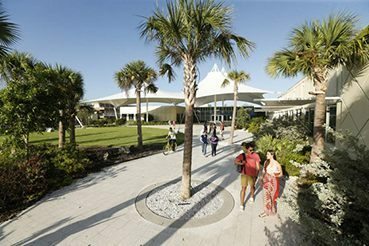 Our club brings the Eckerd Community an opportunity to build community, share interest in the environment, engage in working with, work on related research projects, and learn about environmental sustainability with bees. What kind of bees is Eckerd keeping? Italian honey bees. This specific species of honey bee is known for their more docile demeanor and are excellent producers of high quality honey. Who teaches club members how to beekeep? The club has hired an external beekeeping expert to be present and fully involved in all club activities and bee handling. Club heads are also trained in beekeeping basics and attend bi-monthly off-campus beekeeping trainings at Boyd Hill Nature Preserve. 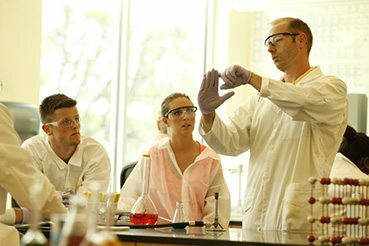 Members of the club are also strongly encouraged to attend these off-campus trainings. Bees are critical pollinators and play a vital role in the ecological food web. Many plants rely on bees to reproduce and flourish. Why do we need to beekeep? In today’s current and changing environment, where ecological habitats are decreasing and chemical output is increasing in volume and in potency, natural bee hives are becoming scarce. For this reason, human fostered bee habitats are necessary for stabilizing bee populations and reliant species. Yes. Bees are naturally concerned with their hive and tend to ignore people. When working with hives, bees are typically non-aggressive and safe to work around. The Eckerd Beekeeping Club is committed to safety and ensures that all practices with and around the bees follow proper safety protocol. This includes wearing appropriate and bee safe clothing/suites, abiding by posted precautionary signs, and undergoing special bee maintenance and handling trainings. In the unlikely event that someone does get stung by the bees, the Eckerd College Emergency Response team is promptly available to assess and address the situation. What happens if I’m allergic to bees? Any club member who is allergic to bees is required to carry an epipen or prescribed medical device when working with and around the bees. Again, the EC emergency response team is on-call at any moment for additional medical support and local hospitals are within a 10 minute drive from campus. Where are the hives on campus? The beehive on campus is strategically placed in Alumni Grove, situated away from high- traffic areas and surrounded by a pond and wooded area. This is an ideal location for both the benefit of the bees and the safety of students and facilities workers. Hives are clearly marked with signage. What external organizations are affiliated with the EC beekeeping club? The EC beekeeping club is in close correspondence with Boyd Hill Nature Preserve and the Tampa Bay Beekeeping Association. What do you do with the honey? Collected honey from the hives with be given to club members with an opportunity to sell any extra honey. Proceeds will help fund the club as it continues to grow. What else does the EC Beekeeping Club do? The Club hosts weekly meetings on campus in addition to in-the-field bee maintenance shifts and off campus trainings. Weekly meetings give a classroom and discussion based approach to learning about bees and what we observe in the field. These meetings focus on a variety of bee related issues and empower members to explore specific bee topics in more depth. Additional opportunities for research and individual projects may be pursued through our club. Bees will pollinate most flowering plants including wildflowers, clover, sea grapes, mangroves, sunflowers, cucumbers, peppers, etc. Where do the bees get their water source? The location of the bees is ideal since it is surrounded by a pond that functions as the primary fresh-water source for our bees. Do bees swarm and is this a safety concern? Swarming is when a new queen leaves the hive to start her own colony. The new queen takes with her a group of worker bees, who gorge themselves on honey before they leave so that they have food once they find a new home. Bees at this stage are typically non-aggressive since they are full and satisfied by the honey they are carrying, their primary concern is to find a new home, and they want to keep their new queen surrounded. Still, we must be respectful and considerate of new swarms by not disturbing or provoking the new colonies.